Some of you may remember a while back when I posted a few Facebook pictures of a used table & some chairs that I picked up from a garage sale for $50. Well, a couple of weeks ago my husband and I finally finished giving them a little update and I am very pleased with the result! 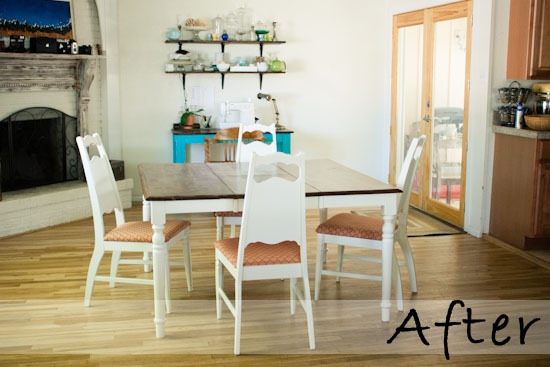 I had so much fun re-finishing the table and chairs and love how the end result turned out! Although the process was a little more time consuming then I would have liked, I'm so glad I took the plunge and finished the project. 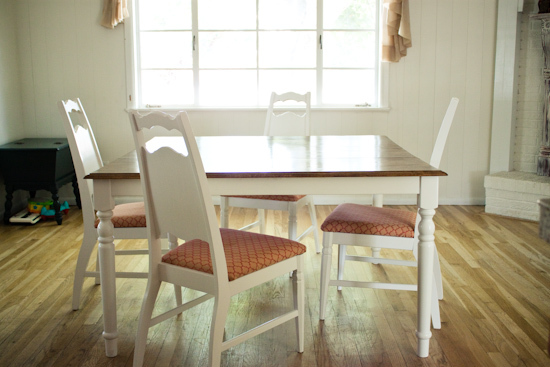 I now have a great dining room table set for my friends and family to enjoy! 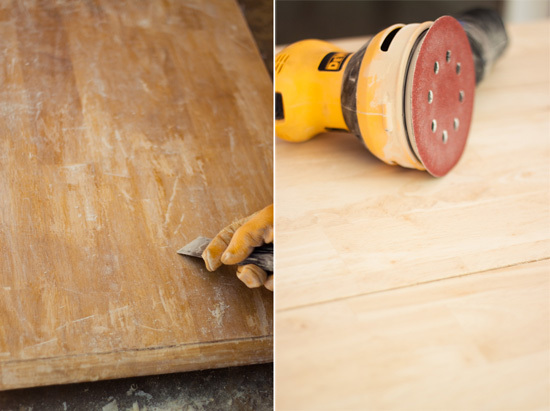 To view a basic overview of how me and my husband completed this transformation click below! 1st. 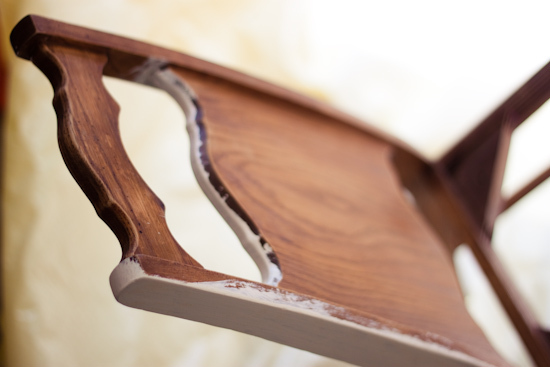 The table was re-finished by the previous owner with a super thick epoxy coating. Since I wasn't very fond of the current stain color I decided to remove the epoxy coating with a "paint and epoxy remover". 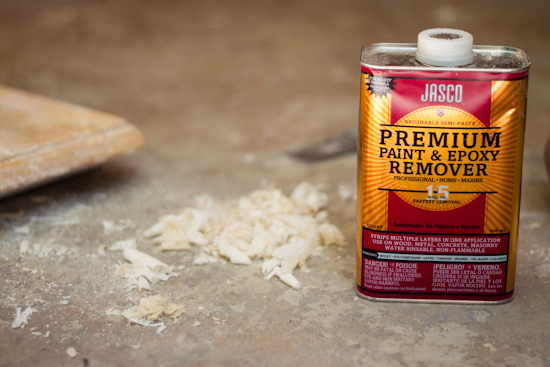 The man at Home Depot made it sound like the removal process would be fairly easy with this product but unfortunately it was not. 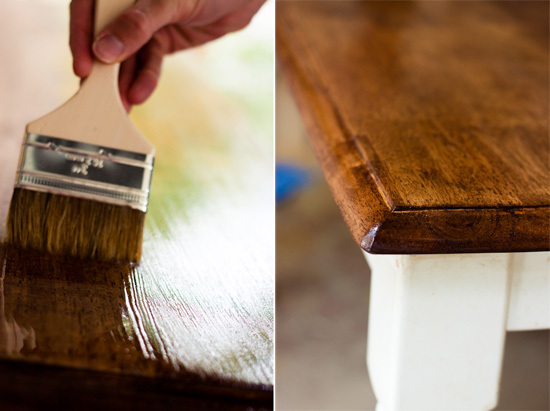 My husband spent many hours applying multiple coats of remover to the table top and then scraped it off (what a sport!). Don't worry though, in the end it was all worth it! 2nd. 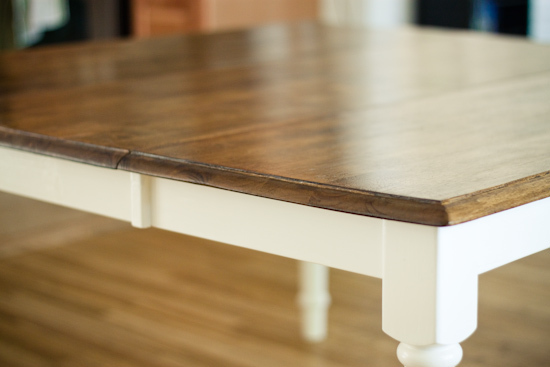 When the enamel was completely removed, I sanded the table down to the original bare wood and then stained it with a Minwax stain called "Provincial 211". 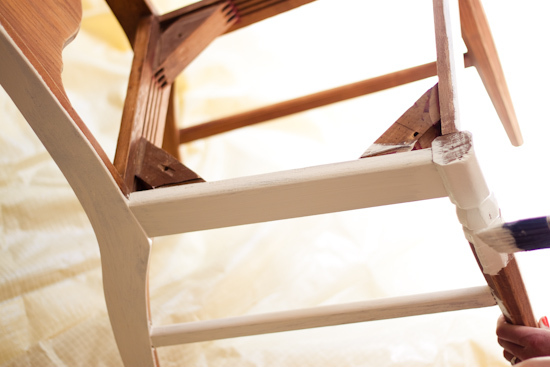 After letting the stain dry, I brushed on a few coats of lacquer finish which was later sanded down lightly to create a smooth finish. 3rd. 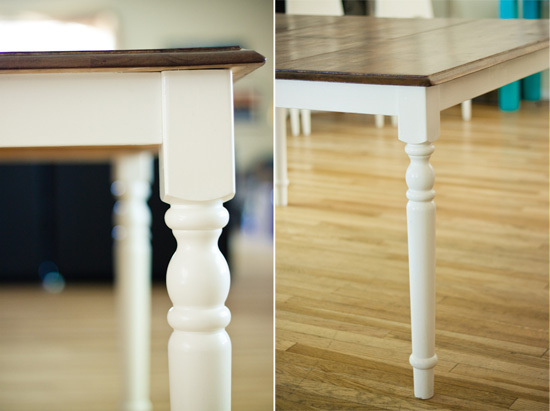 I also re-painted the original table frame and legs with a white semi-gloss paint (same as the chairs). 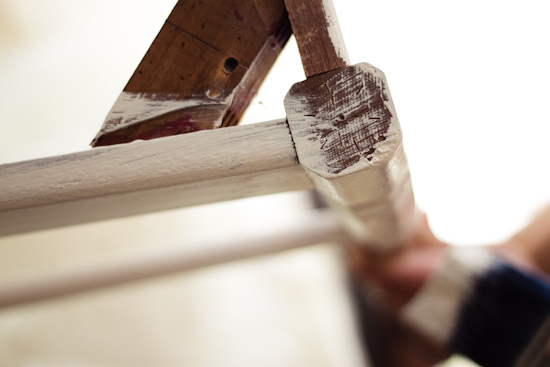 This was fairly easy, considering that the table already had white legs. 1st. 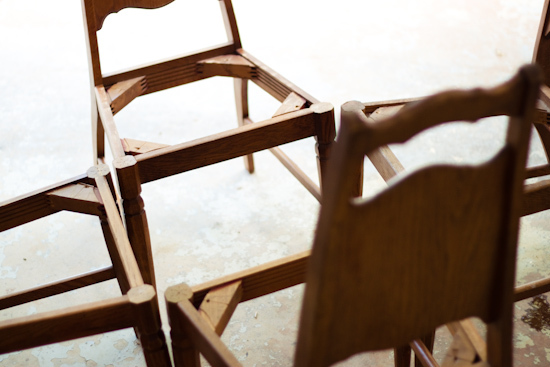 I removed the original seat cushions and then sanded down the backs and legs of all 4 chairs. 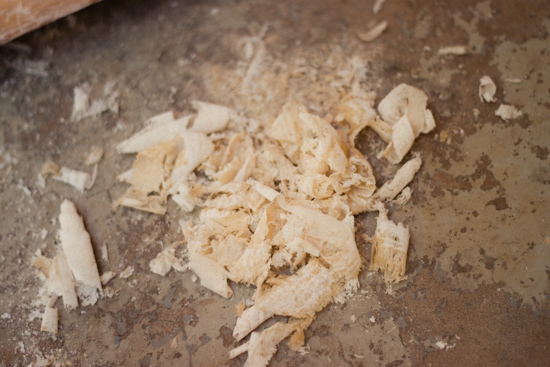 Then I removed all remaining dirt and dust with a damp cloth. 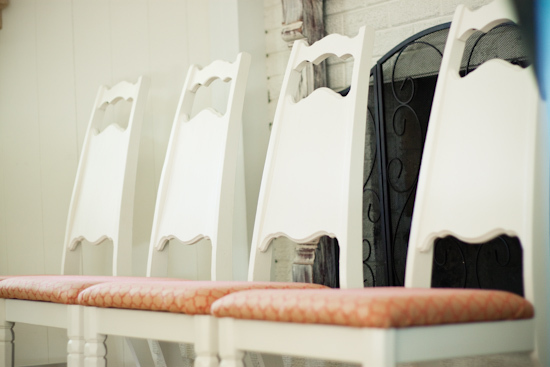 I painted the chairs using an all-in-one primer/latex white paint with a semi-gloss finish. 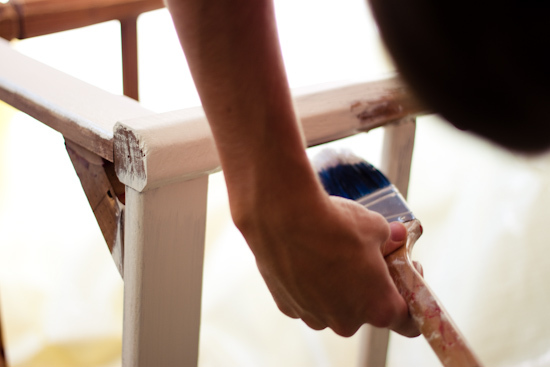 Although the paint had a primer built in, I still needed 2 coats of paint to ensure my chairs were completely covered. 2nd. I went to my local fabric store and purchased a heavy weight upholstery fabric for the chair cushions (which happened to be on sale for $7.00 a yard!) 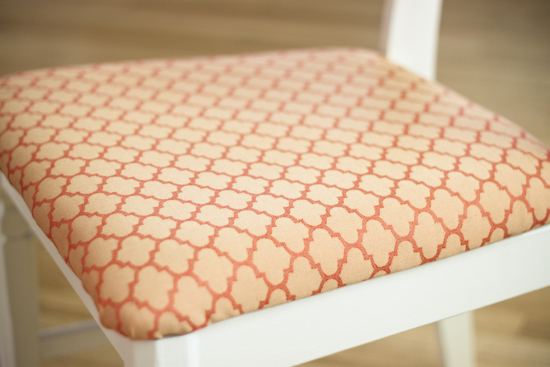 I removed the existing fabric and replaced it with the one I purchased by wrapping the fabric around each seat cushion and then securing it in place on the back side with a staple gun. 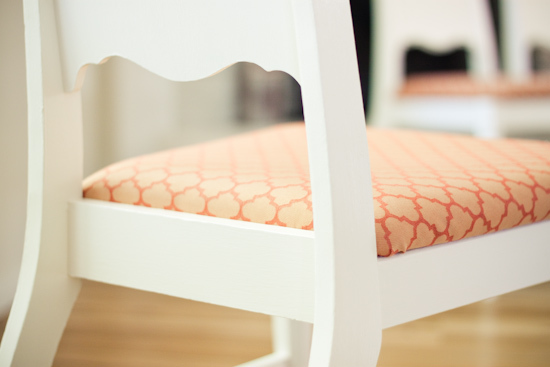 After the fabric was set in place, I screwed the seat cushions back onto the chairs. ummmm can we say amazing!? great job! LOve the Blog!!!! Adding it to my daily reads!!! What great work! Beautiful transformation :) I also LOVE the skirt you made in the previous post. SO clever xoxo Glad I found your blog. This is an amazing transformation! It looks SO good! I especially love the new fabric you picked! Wow, great job, I love it!! I would say, "Amazing!" but I'm not surprised. You do it all and do it all well. 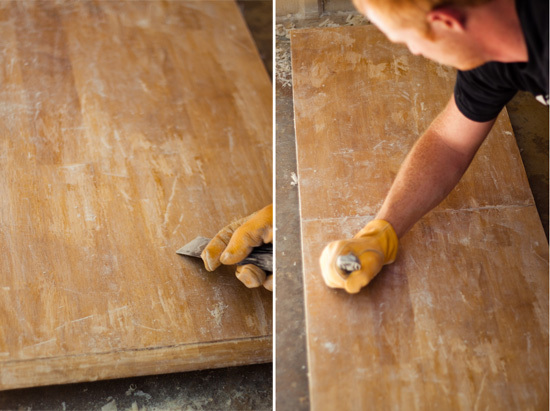 Justine really had fun making your table, it looks great and it was her 1st project ever. The set looks awesome!!! Love all your choices! 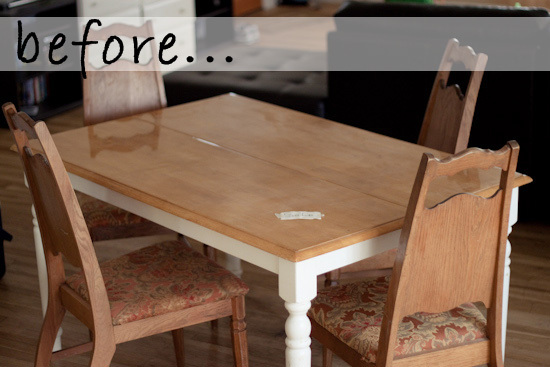 I am BEYOND in love with your "new" dining set! 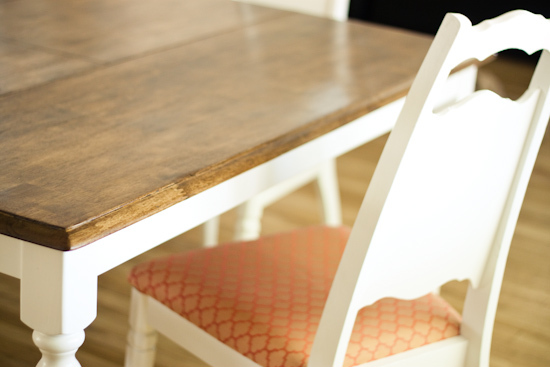 I comb through Craigslist daily on the hunt for a new table. Granted, the $300 we spent on ours about 15 years ago was clearly money well spent, but I long for a new table, and you are giving me some serious table envy!